The origins of modern anesthesia are inexorably intertwined with the Commonwealth of Massachusetts. On October 16, 1846, William T.G. Morton proved to the world that the inhaling of ether causes insensibility to pain. This historic event occurred at Boston’s Massachusetts General Hospital. The irrefutable demonstration changed the course of medical history by credibly revealing an inevitable, complete and safe surgical anesthesia. Morton’s public revelation heralded the end of a time when surgery was agony and a serious operation was to be dreaded only less than death itself. Imagine the sense of awe and pride when news of this public demonstration spread throughout the world! 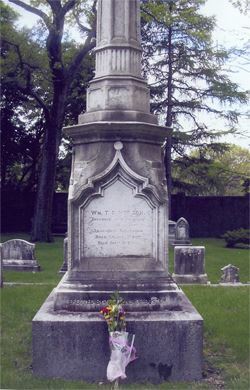 There are a variety of sites in Massachusetts related to the origins of anesthesia. The surgical amphitheater at the Massachusetts General Hospital, where Morton's demonstration took place, is known today as the Ether Dome; it is now a national historic landmark. Open to the public, it should be visited by any anesthesiologist touring Boston. Bostonians have also recorded Morton's achievement by erecting a monument to immortalize the success of ether, a discovery that lead to the triumphs in surgery and infection control we benefit from today. The Ether Monument lies in the historic Boston Public Garden. It sits with marble and granite images and inscriptions addressing universal themes: the suffering caused by war, the desire to relieve pain, and the triumph of medical science. It is the most visible outdoor public art structure related to American medicine. This magnificent memorial has recently been completely refurbished and is now illuminated at night. Its soothing fountains inspire anyone reading the monument's inscriptions to ponder about the transcendence of controlling surgical pain. BEFORE WHOM In all time Surgery was Agony. BY WHOM Pain in Surgery was averted and annulled. SINCE WHOM Science has control of pain. 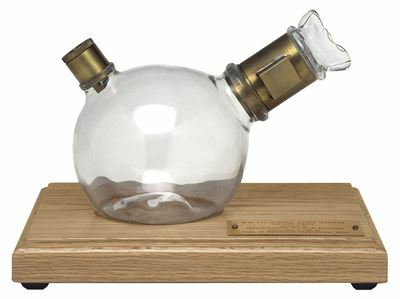 Replica of the William T. G. Morton Ether Inhaler. This replica of the Inhaler was made from the original description of its physical attributes and of its measurements as furnished by the courtesy of the Massachusetts General Hospital.